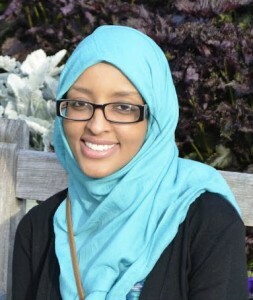 FARDOSA HASSAN graduated from Augsburg in 2012 with a degree in sociology and international relations. She was very active in interfaith work while she was a student here and received the Courageous Woman Award. She was recognized by President Barack Obama and invited to the White House to take part in the Interfaith Campus Challenge. Previous internships include the Kenya Parliament and Lutheran Social Services. Fardosa also works as the Interfaith Youth Connection Program Coordinator at Interfaith Action of Greater Saint Paul.